Divorce can get ugly. We’ve all seen it happen. Couples lose track of their priorities, argue about past issues, call each other names and go into court with vengeance on their mind. The court procedure lends to that type of mindset. Family mediation on the other hand is for people who would rather avoid such conflict. It’s for those couples who want to split up but are willing to resolve their differences and settle their case as amicably as possible. Divorce or family mediation is when you and your partner meet with an independent neutral third party mediator, and resolve your dispute to end your relationship amicably. 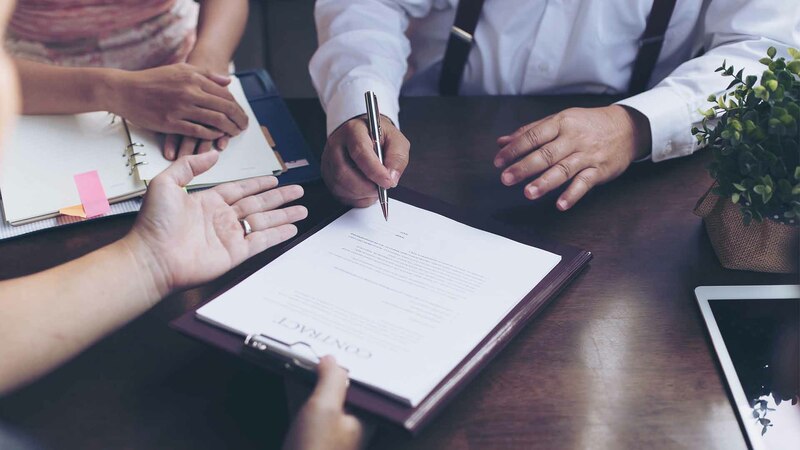 It covers issues such as division of property, custody and access, parenting plans, child support, spousal support, estate planning, taxes and more. Mediation can usually start right away and can reach a resolution within months. Meanwhile, in-court cases can take months to schedule the first court appearance and even years to resolve. If you are looking to put your divorce behind you as soon as possible, mediation is the more reasonable option. Mediation is less expensive than going to court. Hiring a mediator costs significantly less and the cost is typically shared with your spouse. When you combine the lower mediation fee and the fact that the process has a significantly lower turnaround time, you end up paying much less for your divorce fees overall. Court cases are public. They involve records and transcripts. Mediation on the other hand is confidential. Any discussions are “without prejudice” and cannot be used later or be revealed. This means that your family matter remains private and you are able to disclose information without fear of it reaching the public eye. In mediation, you decide what is best for you and your family. The mediator cannot force a decision on you. The process is voluntary. Both parties must come to an agreement at the end, with the help and guidance of the mediator. This means that the outcome of your divorce is in your and your partner’s hands. Mediation is an informal format, much more so than litigation and arbitration. It allows both parties to engage and participate more openly. Especially since the mediator is able to focus both parties on their needs and interests without getting bogged down by procedures and stated positions. This enables open dialogue and the ability to resolve issues more effectively. According to a survey conducted in 2014, respondents who were referred to mediation in Canada reported more than 50% full or partial settlement of their case.The fact that there are no winners or losers and the focus of mediation is not to point fingers or lay blame, leaves both parties generally more satisfied with the results. Unlike court cases, mediation allows you and your partner to be the key decision makers. There is no court order to comply with, only the agreement you both have set for yourself. When there is no third party forcing you or your partner to do something, the chances of complying with the agreement are much higher in the long run. Overall, mediation is a format that leans in favour of preserving amicable relations. It is more about working together to meet in the middle rather than against each other. So if you are looking for a dispute resolution method that saves time, money, provides more control and allows you to work alongside your partner to end your marriage on decent terms, then mediation is a good option to consider. However, if your relationship is overpowered with animosity, or if the issues between you are vastly one-sided, then it is unlikely that mediation will lead to favourable results. Consider where you stand with each other in terms of civility. Only consider mediation if you think you can work together on any level at all.